Chinese scientists are claiming to have achieved a crucial agricultural breakthrough, growing high-yield rice in salt water. The new strain has been previously tried and tested, but scientists from the Qingdao Saline-Alkali Tolerant Rice Research and Development Center reportedly managed to nearly triple yields, to 4.5 metric tons per hectare, making it ready for commercialization. The new type of hybrid rice has been grown among 200 varieties of rice in Qingdao, a coastal city in eastern China’s Shandong Province. The researchers pumped and diluted seawater from the Yellow Sea, and then channeled it into the rice paddy fields. Diluted seawater rice has already gone on sale. However, at 50 yuan ($7.50) a kilo the new variety is eight times more expensive than traditional rice. An online shop selling the rice was started in August by Yuan Ce Biological Technology, a Qingdao-based start-up and business partner of Yuan Longping’s research team. The platform is selling rice harvested last year with this year's crop to enter the stores in November. A thousand customers placed orders last month, and nearly six tons of the new variety have been sold since August, according to a sales manager. The firm expects to reach sales revenue of 10 million yuan ($1.5 million) by the end of the year. 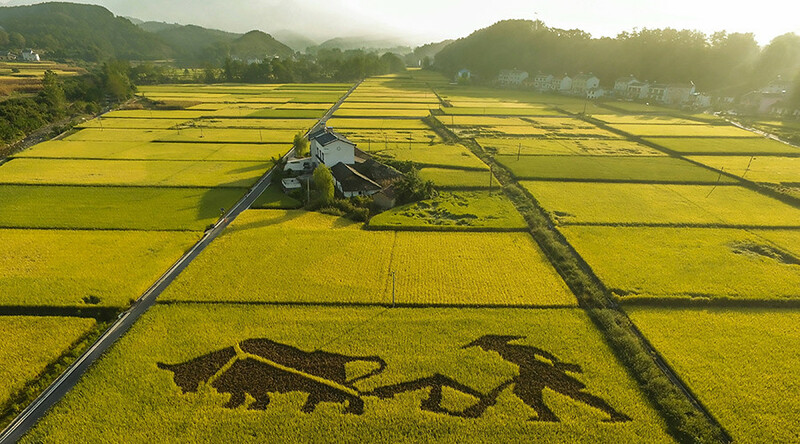 The variety cannot be officially called sea rice, as it was grown in an area where fresh water mixes with sea water, according to the director of the Yunnan Institute of Ecological Agriculture Na Zhongyuan. “The salinity content in such areas is usually a little more than one percent,” Na said. Scientists say it will take years of research to develop a rice species that could grow in pure seawater.